Okay, so with that title, there’s a little bit of pressure here and a whole lot of hype from yours truly. Now, I’m one for honesty, and the Aztec Secret Indian Healing Clay mask really is that good. Purchasing any beauty product, let alone a face mask, from Amazon can always be a little risky. Either it’s something to rave about, or it’s something you wish you hadn’t wasted your hard-earned pennies on. Thankfully this face mask falls into the former, and has my big stamp of approval. Let me tell you why. This stuff lasts for ages. I mean a real age too. I’ve had this tub since Christmas and I use it at least twice weekly, and I’m not even half way through the product. It’s also less than a tenner too. So you really get a whole lot of bang for your buck. Probably my favourite thing about this mask, is that you choose the consistency. You mix the powder with either water, or apple cider vinegar (my skin much prefers apple cider vinegar) for a thick or thin consistency and then slather it on your face. Finally finding a use for the Real Techniques foundation brush makes me so happy. Your skin will look like a tomato for about half an hour afterwards, but for all the benefits it’s so worth it. Plus theres no fragrances or additives, and it’s cruelty free, with no animal testing or animal products. So what’s this mask made up of I hear you ask? It’s literally a big ol’ pot of calcium bentonite, also known as green clay. It claims to unclog pores, control sebum production, draw out toxins, exfoliate, and reduce the appearance of scars. One thing I love about this mask is it doesn’t break me out. If I go a while without using it, then I get the odd rather angry spot, but regular use actually helps to clear up my skin. My skin always feels softer too and more receptive to any other skincare products I’m using after I’ve used this. It does make your skin feel a little bit drier, so a good moisturiser is needed after this. Whilst continual use helps to maintain clear skin, it doesn’t eliminate spots overnight quite like the Mario Badescu drying lotion (review coming soon). Probably the only drawback, and I use that term loosely, is how tight the mask gets. You can actually feel a slight, and I mean a slight, pulsating. About halfway in to the 20 minutes you’re supposed to leave this mask on for, it starts to tighten and in the most uncomfortable way. If you bear with it though or distract yourself, it eases off. I can understand why this would be a deal breaker for some, but having acne for a good portion of my life means I’m willing to put up with the discomfort. This mask helps my skin so much, and I don’t say that lightly. 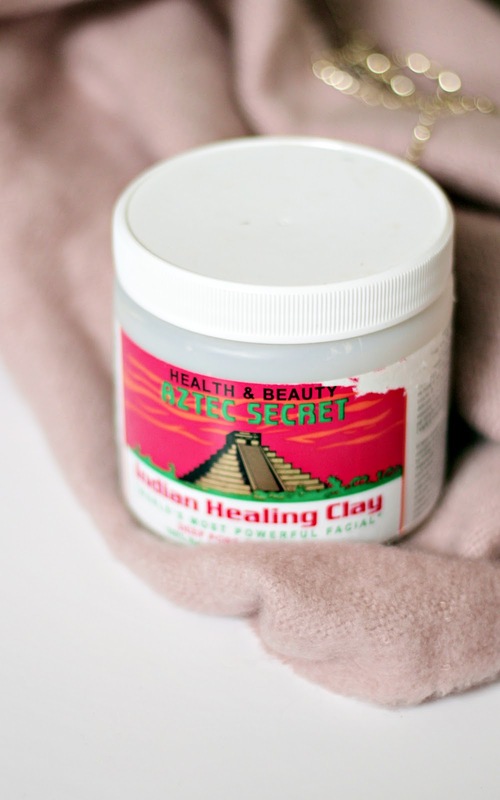 Finding a mask that doesn’t break me out but also keeps my skin clear makes this a winner, and if I’m being honest, I’ve not really used any other masks since I purchased the Indian Healing Clay. It’s a godsend. Honestly. 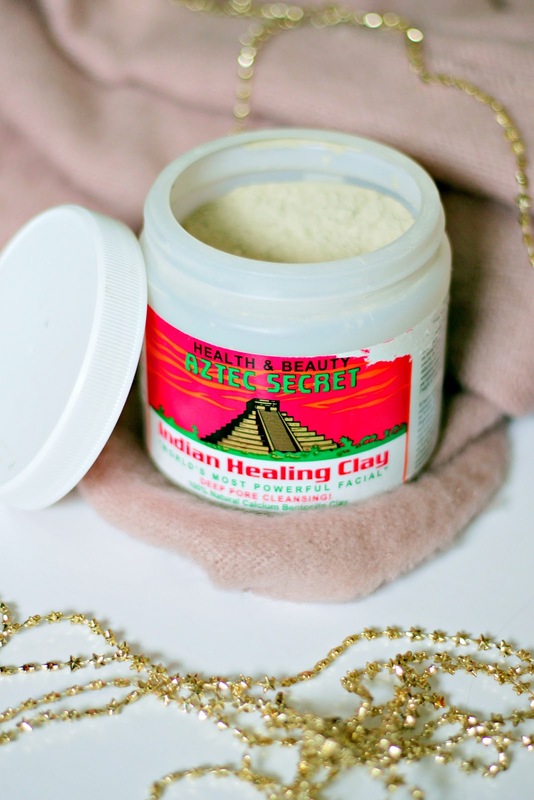 Have you ever used the Indian Healing Clay mask before? What do you think? Previous Post Why Living At Home For University Doesn’t Mean You’re Not Doing University “Right”. Next Post The Soap & Glory Cleansers.